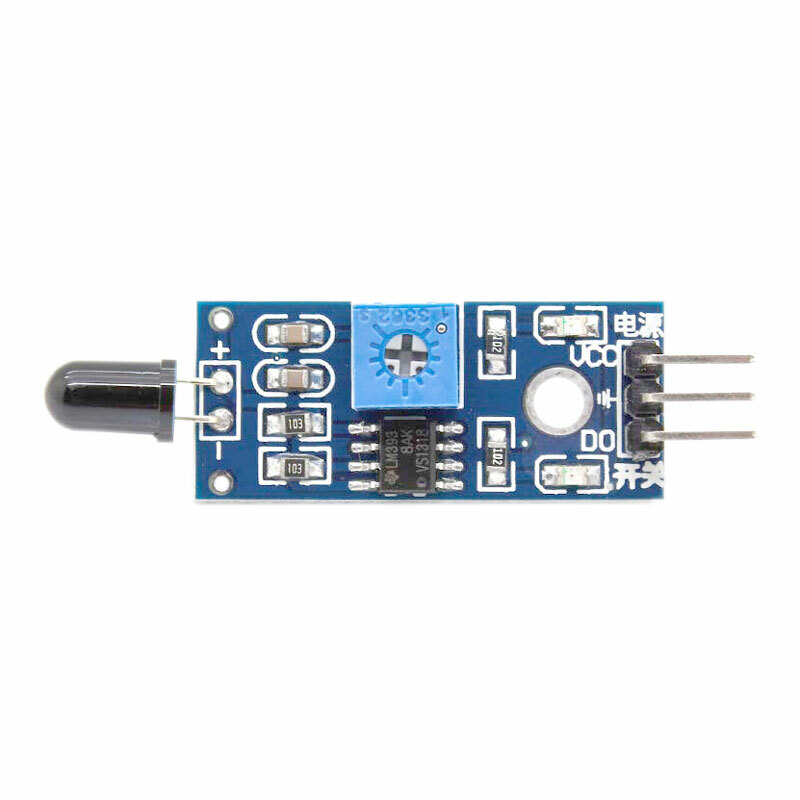 A flame sensor module that consists of a flame sensor (IR receiver), resistor, capacitor, potentiometer, and comparator LM393 in an integrated circuit. It can detect infrared light with a wavelength ranging from 700nm to 1000nm.The far-infrared flame probe converts the light detected in the form of infrared light into current changes. 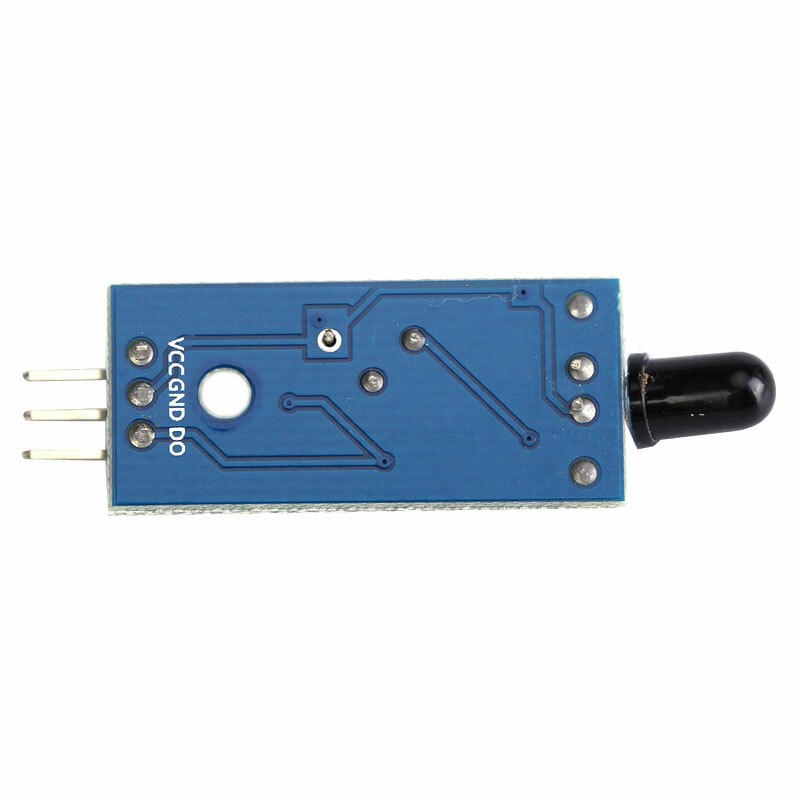 Sensitivity is adjusted through the onboard variable resistor with a detection angle of 60 degrees. 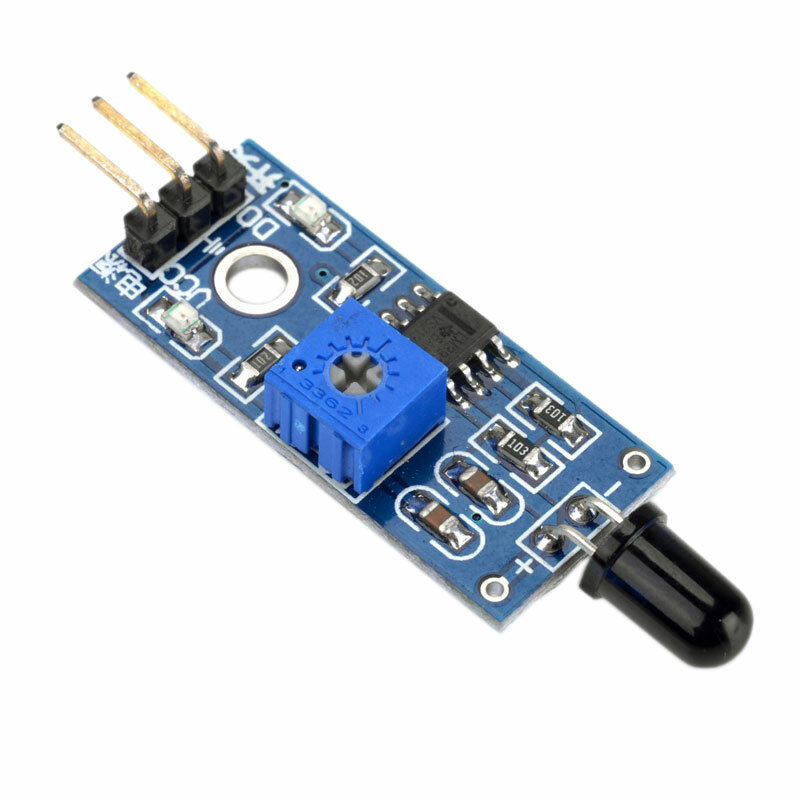 Working voltage is between 3.3v and 5.2v DC, with a digital output to indicate the presence of a signal. Sensing is conditioned by an LM393 comparator. 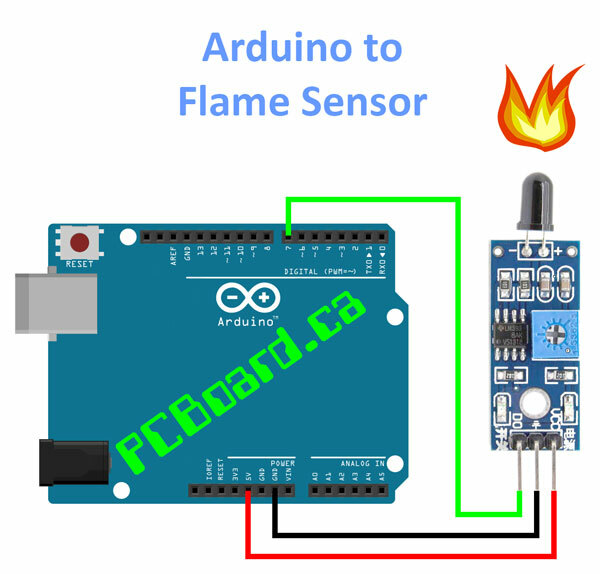 A very simple Arduino Sketch is shown below, and assumes you have an LED connected to Pin 13 to indicate when a flame has been detected. Open the Serial Monitor on your Arduino program. Move a flame in and out of the viewing angle of the sensor. You should see an output that looks something like the picture below. You should also see the red LED illuminate on your module and you should see also see the module LED connected to pin 13 of your Arduino light up.